We are Disney freaks in this house. From Mickey and Minnie to Princesses and everything in between. 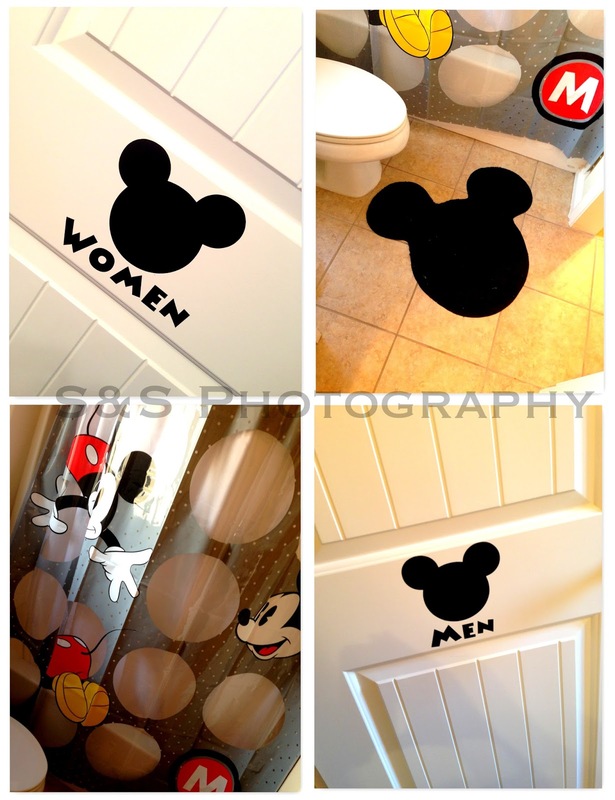 A few months ago I started to redo the kids bathroom in Mickey Mouse decor. I wanted to put up some photos to let you see the progress. We have 2 doors into the bathroom so we decided one side was the boys side and the other was the girls. Shelby is in love with it. She told me "Mom! Mickey is on my door!" I did these on my Silhouette SD. I love that machine. I got the Mickey head from Miss Kate Cuttables and use the trace function. I used the Minnie font also. This might be the end of it but it might not be either......stay tuned.